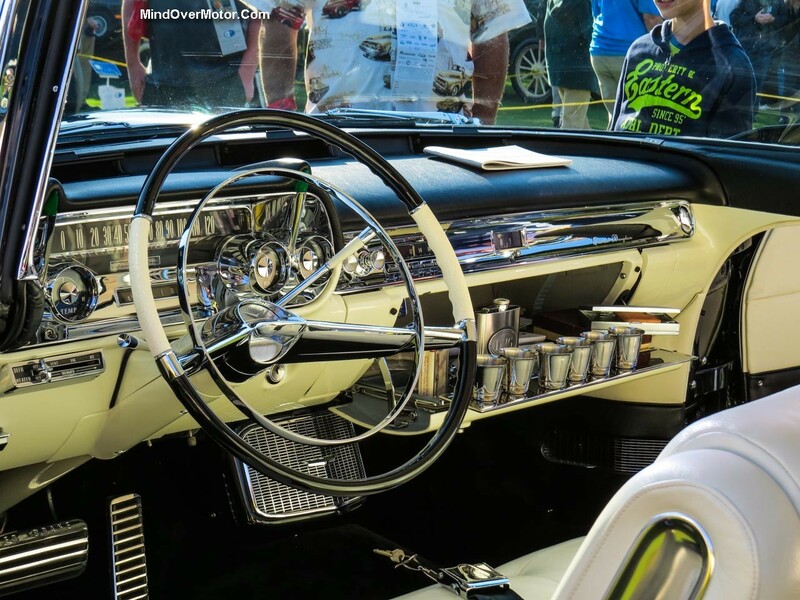 They were also fully intent on capturing the ultra-luxury market in that decade by making an ultra-sumptuous sedan based off of the new Eldorado. 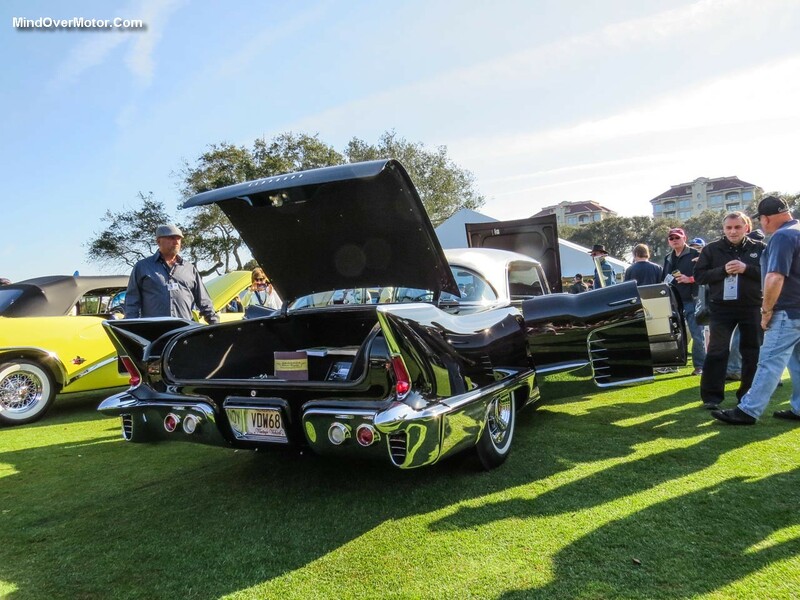 The Eldorado Brougham was only produced until 1960 and was a genuinely expensive car when new–in fact, it cost over $13,000, more than twice the price of the Eldorado hardtop coupe and more than the Rolls Royce Silver Cloud at the time. 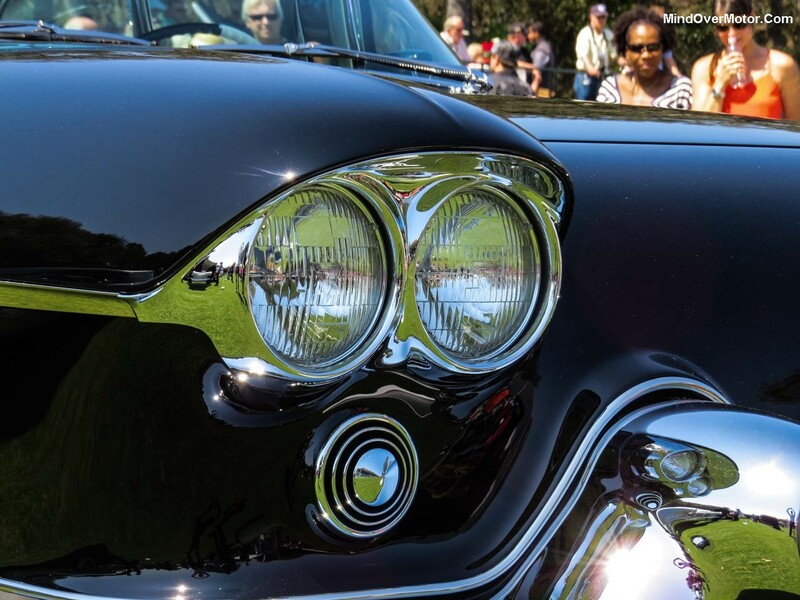 It had a number of never-before-seen features at the time for a General Motors product. 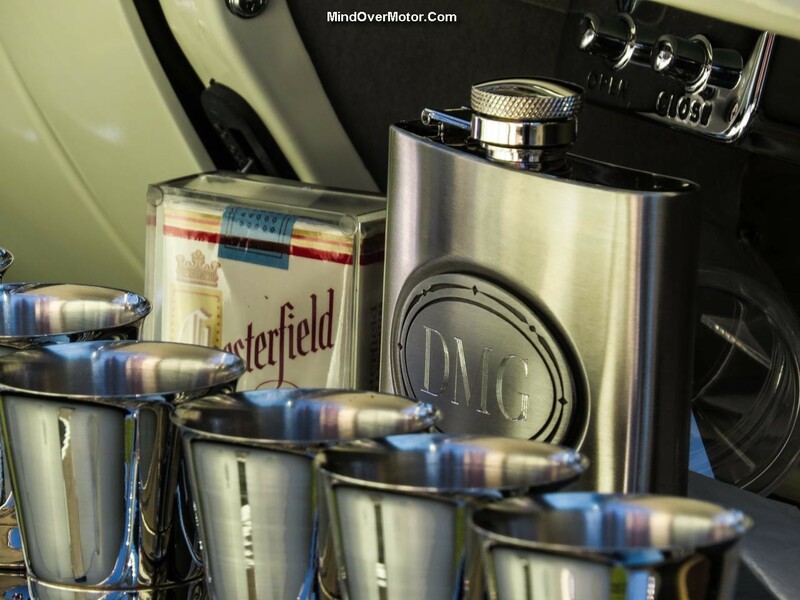 They came fully loaded, with superb paint, interior equipment like a full set of shot glasses, tissue and cigarette dispenser (try finding one of those on a Rolls-Royce today), perfume, air conditioning, memory seats (ahead of its time in 1957), a stainless-steel finished roof, a choice of 40-plus interior colors, and a twin-quad V8. 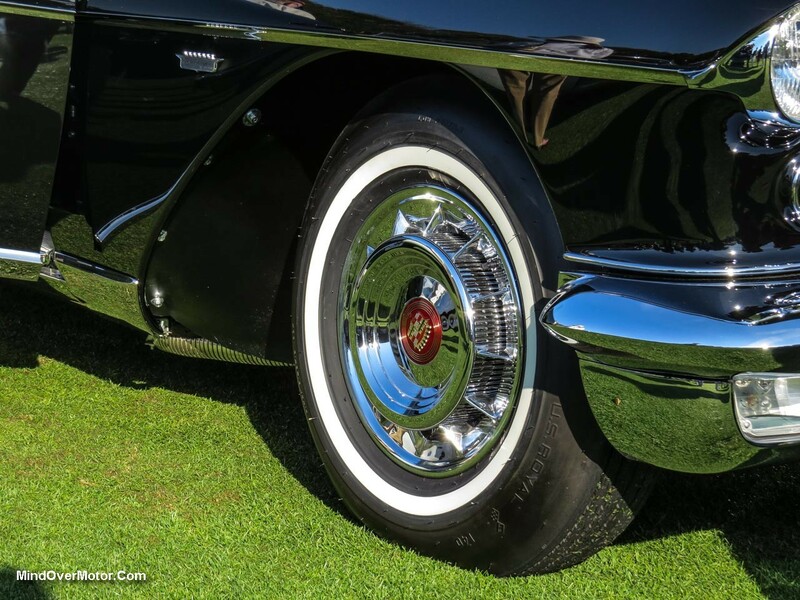 These were all hand-built–General Motors, unsurprisingly, lost money on every single one sold. 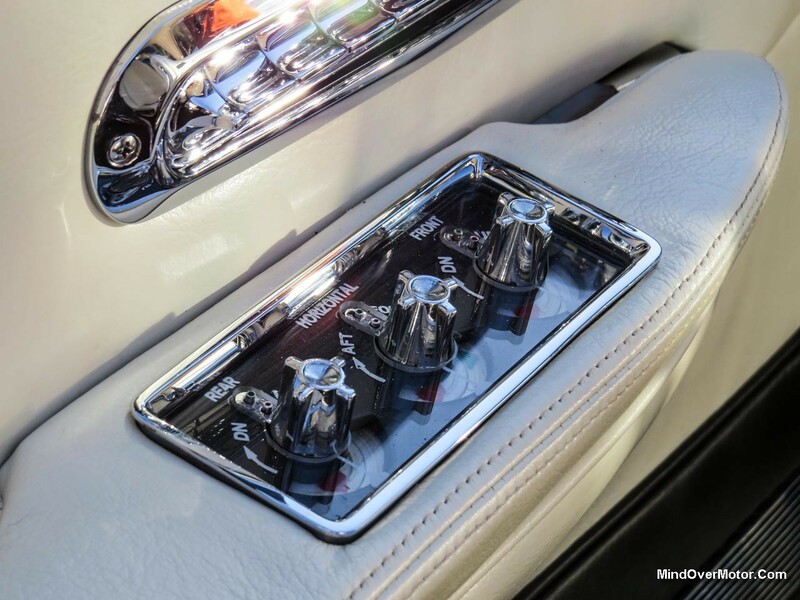 Despite the fact that it’s a Cadillac, the high price, rarity, and over-the-top equipment standard reminds me of the recently-departed Maybach. 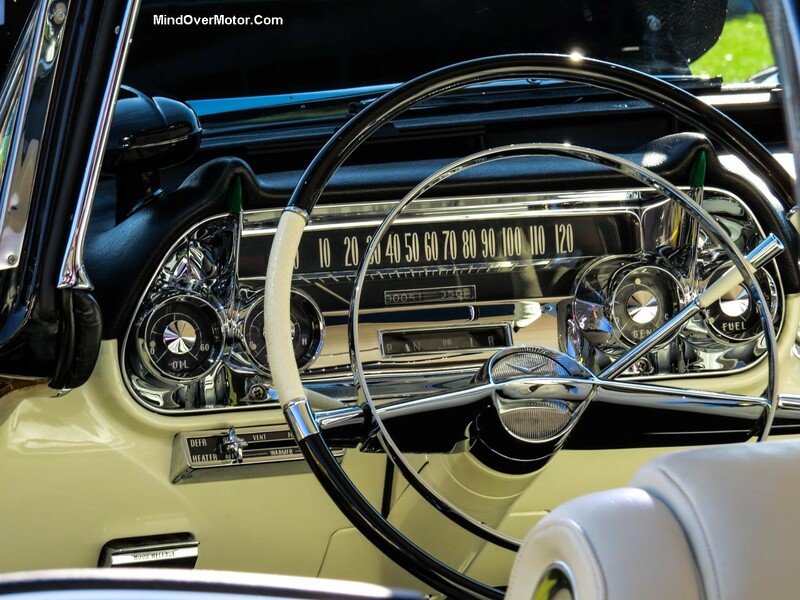 Only 400 of these were built in 1957 and they are a very rare sight today. 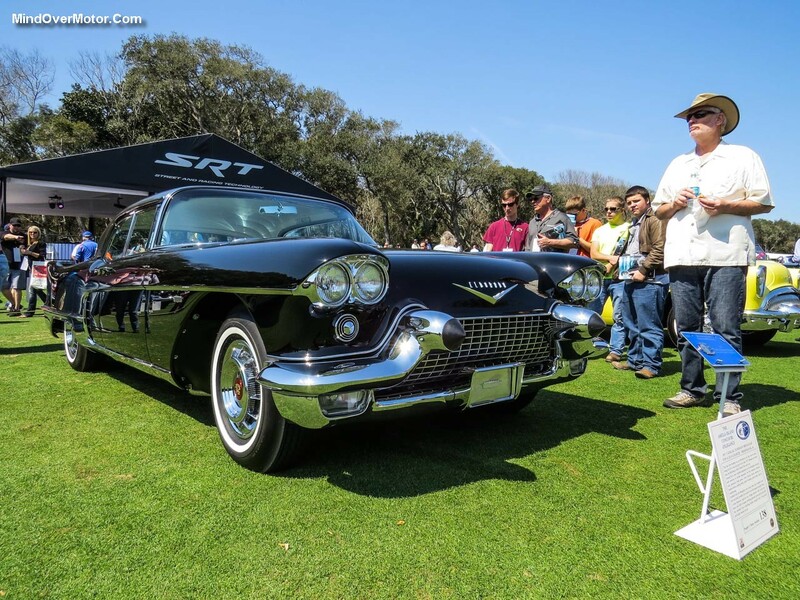 Seeing one is a thrill for a Fifties Cadillac nut like myself and I was not expecting to see one at a Concours, no less Amelia Island. Enjoy the photos. 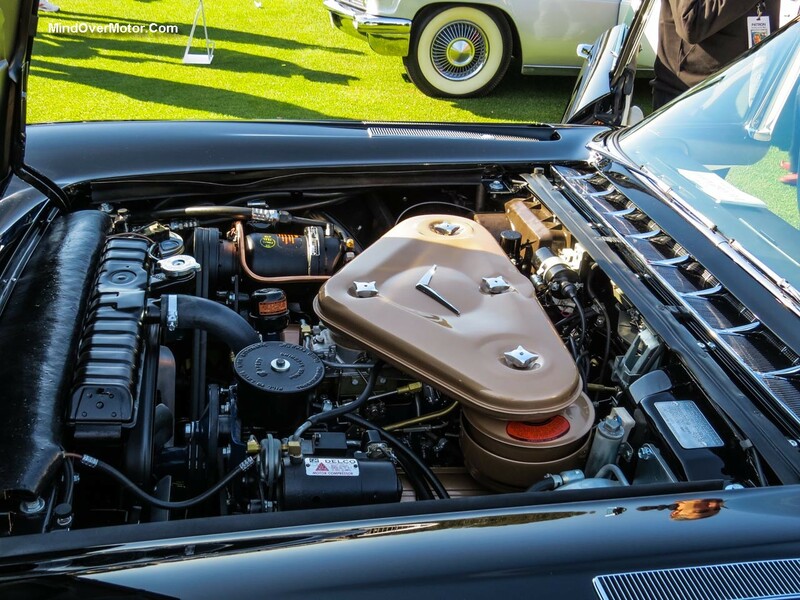 The Brougham was the first Cadillac to use a full memory system for the seats–a genuine rarity in the 1950s that’s now almost expected today. The equipment level is staggering. 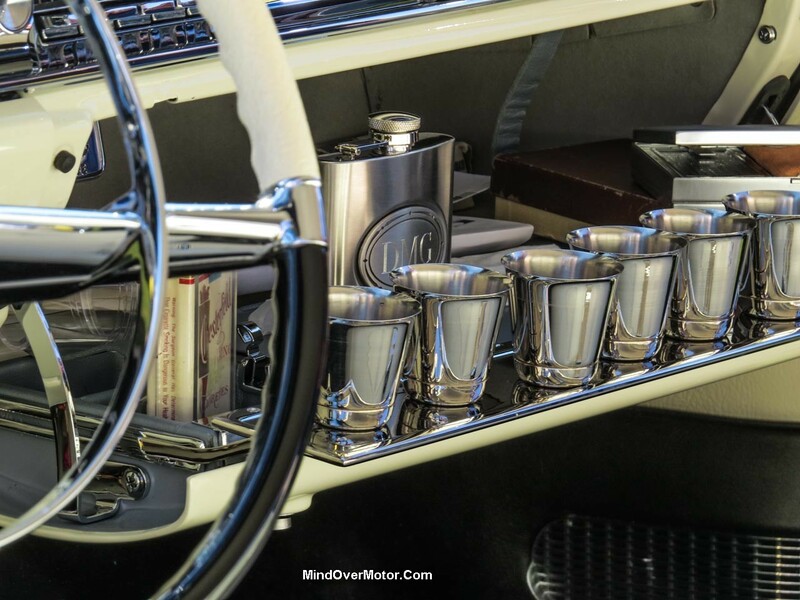 Swathed in chrome, the Brougham even came with a full set of drink tumblers and flask. 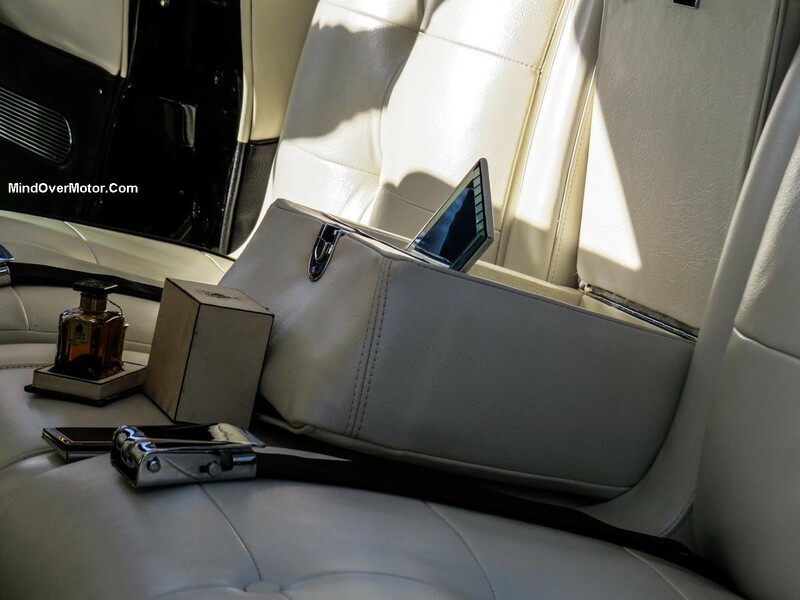 Note the pristine Chesterfield cigarette pack in on the left–no stone was left unturned in this Brougham’s period correct look.